Sruthi (Karthika) is a college student studying in Ootty.Her College has been shut down on the account of a sudden strike.She meets KK(Mammooty) who is her dad’ s friend.Then the movie resides on a long road trip. First of all , we must appreciate the screenplayist Joy Mathew.He has handled such a subject that our society is handling or going through in the current situation.His dialogues,his characterization and his brilliance in giving the important dialogues for an actress was also appreciable. Girish Damodar as a debutant has done a superb job but still he should have been a bit better but if we consider he as a debutant,we can ignore.First half goes in a good pace with thrilling mood and second half dropped its pace in Initial phase but Final 20 minutes were damn Excellent. Azhakappan’s frames were superb and it simply gave an extra mileage to the movie.Editing should have been a bit crisp in starting of 2nd half.But other than that,it was a commendable job. The songs from Bijipal was good and Bgm suited the mood as well. 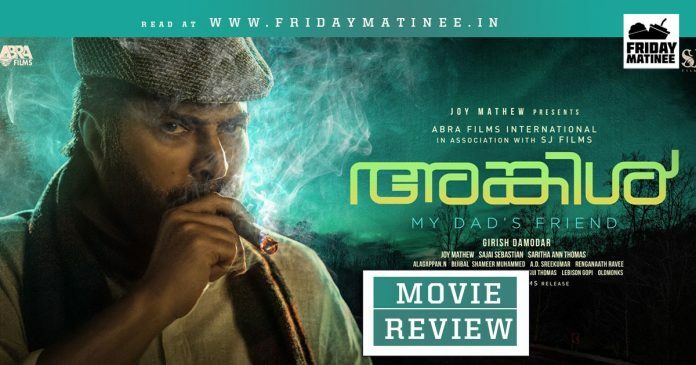 Verdict: Uncle is the Cinema Kerala Audience shouldn’t miss.